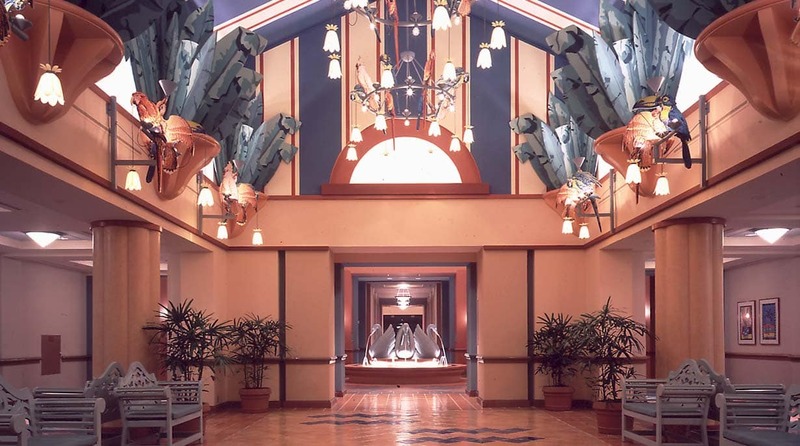 The Walt Disney World Dolphin and Swan Hotels were the first projects to embody Disney’s interest in “entertainment architecture.” Charged with creating a decorative themed environment without using Disney characters, MGA&D designed the architecture, interiors, furnishings, signage and graphics to delight and entertain guests of all ages. 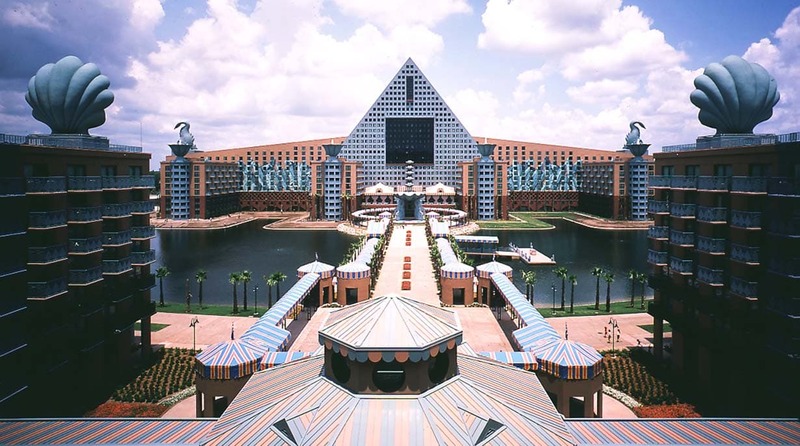 Because of the size of the hotels (the Dolphin is the equivalent of 20 stories), Disney also requested that portions of the buildings projecting above the treetops be bold and iconic, reflected in the shape of the buildings and the signature dolphin and swan sculptures. 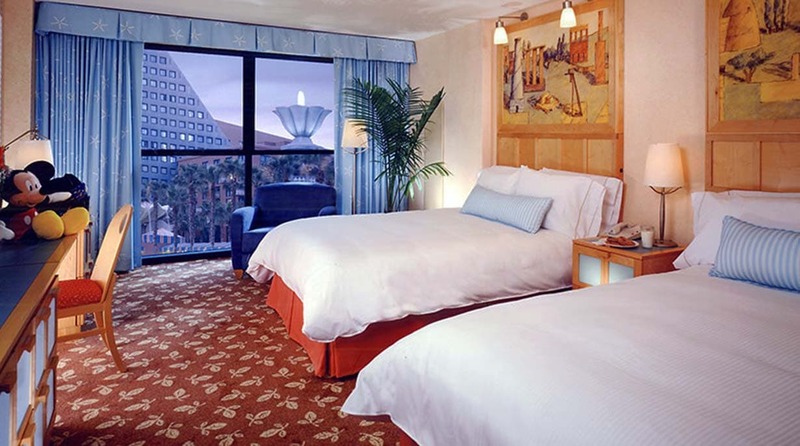 Prior to designing the two hotels, MGA&D prepared a master plan for the extensive Disney property between the EPCOT World Showcase and the MGM Studio Tour, siting several future hotels on stable ground around areas of high water. 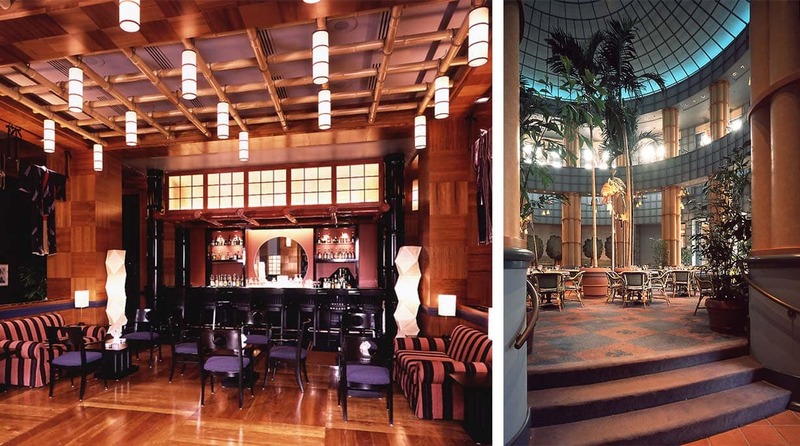 While operated by separate hotel brands, the Dolphin and Swan Hotels (both named for water-going creatures) were designed as an ensemble facing each other across a crescent lake spanned by a pedestrian causeway. 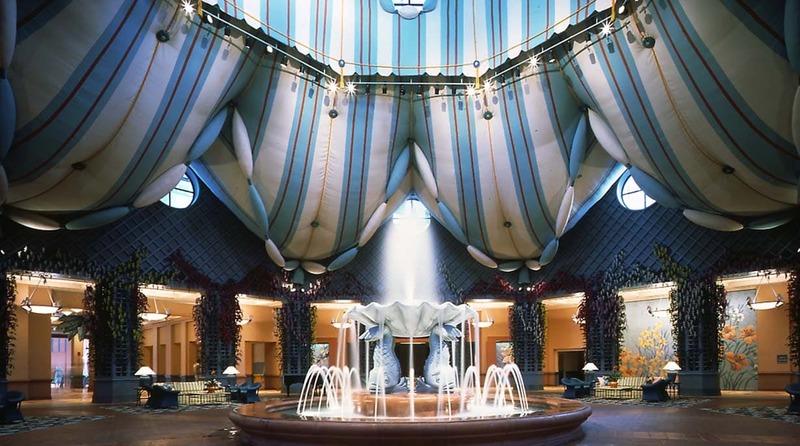 Water taxis cruise the waterways around the complex, which is interspersed with water features, fountains and pools.